Working as a Cinematographer and an Editor, Patrick creates engaging and cinematic digital content. Priding himself on being a full-service freelancer, Patrick can take your video content from pre-production through to shoot and post-production. Over the past 15 years Patrick has created unique visual stories for a range of brands, including Splendour in the Grass, Oxfam, Merivale, MINI, TEDxSydney, Channel [V] and the Lifestyle Channels. These diverse projects have gifted Patrick with experience in multiple camera formats, lighting techniques and editing styles. 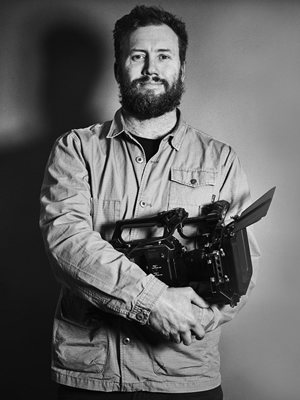 Patrick comes with his own extensive camera and lighting kit, is experienced in hiring specialist gear and operates his own dedicated edit suite, both in the office and on the job.